Indian Railways is eager to introduce rail lines between New Delhi and Ladakh to connect both. For the same reason, the work has been accelerated on the important Bilaspur-Manali-Leh rail line. With the completion of the location survey of the first phase, it is expected that the final survey will be finished in 30 months. Thereafter, a detailed project report will be finalized. Railways has suggested to declare it as a national project. The reason for the same is that the project is the most difficult one commenced by the railways till date. This is said after considering the given terrain over which the tracks have to be laid. Further, Railways has also proposed to immediately start the construction work on the 51 km stretch between Phe in Leh and Upshi in Himachal Pradesh. Once accomplished, the broad-gauge rail line will slash the travel time from 40 hours to 20 hours. Here are some other interesting facts about Ladakh railway project. Stations en route – The Bilaspur-Manali-Leh railway line will consist of 30 stations taking Railways closer to India-China border in Ladakh. 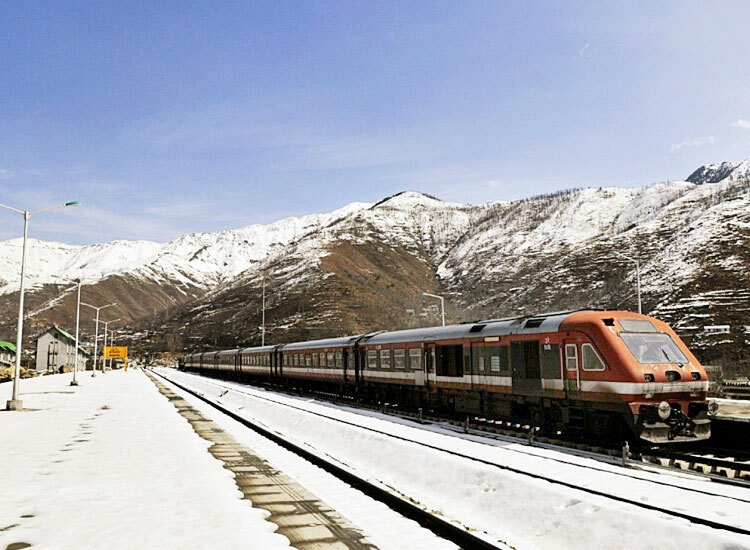 A wide-network of the locations en route connecting Leh to Bilaspur includes Karu, Upshi, Darcha, Koksar, Keylong, Manali, Mandi and Sundernagar in Jammu and Kashmir and Himachal Pradesh. Estimated Cost and height – The estimated cost of the new rail line is INR 83,360 crore. Once complete, the 465-km railway line will be tagged as the world’s highest railway track. At its highest point, the track would flaunt a height of 5,360 m above sea level. This makes the Qinghai-Tibet Railway line in China envy, as it lies 2,000 meters above sea level. 52 percent of the total 465 km length will go through tunnels, the longest being 27 km long. The total length of the tunnels is expected to be 244 km. The first phase of the survey highlights a count of 396 minor bridges, 124 major bridges and 74 tunnels. Advantages – The expected advantages of the new rail line include a hike in tourism, help to the armed forces and ultimately, development in Ladakh. The task will become much easier with the Centre providing a major share of funds, upon its declaration as a national project by the govt. As per Alok Kumar, Chief Administrative Officer (Construction) of Northern Railway, the project is much difficult as compared to the one commenced by the department in J&K previously. The Bilaspur-Manali-Leh rail line will come from Bhanu Palli railway station on the Anandpur Sahib route. The rugged terrain comes under an area prone to landslides. Oxygen level drops down significantly and temperature reaches sub-zero levels. Speed and Time reduction – Upon completion, trains on the new line will run at a speed of 75 kmph. 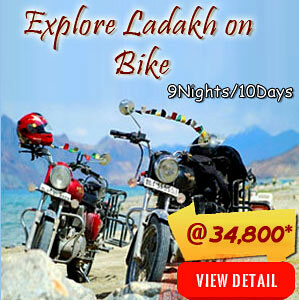 This in return, will cut the time required to travel between New Delhi and Leh from 40 hours to 20 hours. Alok Kumar also informed that the estimate of the ongoing final location survey is INR 457.72 crore. This will get completed in three phases – digital evaluation of elevation model, selection of a path for better alignment and geographical survey for bridges and tunnels. The 51 km stretch between Leh and Upshi is expected to be completed within two years. The estimated cost is INR 5000 crore. Also, the stretch features a gentle gradient as compared to the rest of the project. In order to get the project bestowed with the status of the National Project, Thupstan Chhewang, BJP MP from Leh has written a letter to the Minister of Railways. Thus, with the introduction of the Bilaspur-Manali-Leh rail line, traveling to Leh will become a memorable affair. 2 comments on "World’s Highest Rail Line to Connect New Delhi with Ladakh"
Great information and explain everything properly. Thanks for sharing. Thanks for your kind words! Keep on following our blogs for more such informative posts.